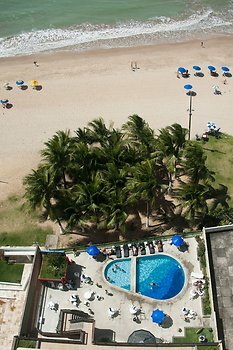 Hotel Dan Inn Mar Recife, Jaboatao dos Guararapes, Brazil - Lowest Rate Guaranteed! With a stay at Dan Inn Mar Recife in Jaboatao dos Guararapes (Piedade), you'll be within a 5-minute drive of Boa Viagem Beach and Piedade Beach. This beach hotel is 9.5 mi (15.3 km) from USA Consulate and 12.9 mi (20.7 km) from Gaibu Beach.